Pizzeria: Pizza and Beer is a Great Pairing! Ice cream and chocolate sauce, burgers and fries, peanut butter and jelly: three pairs that seem like they were made for one another. While these are some of the most well-known food pairings, they’re definitely not the best. That title goes to pizza and beer. 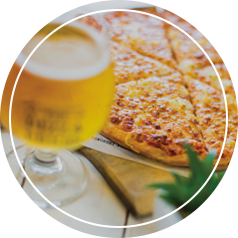 In this blog, we will talk about a few of the reasons that beer and pizza work so well together. We’ll also cover a couple of our favorite brew and pizza pairings that you can try the next time you come into The Pizza Press! 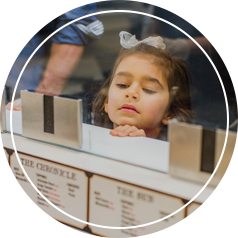 The Pizza Press is an exciting pizzeria where we bring the freshest ingredients and the most delicious craft beers together in a fun, newspaper-themed atmosphere! At The Pizza Press, you can “Publish Your Own Pizza” using any combination of our ultra-delicious toppings, cheeses, and sauces, or you can choose one of our signature pies for a proven winner that will keep your stomach and your taste buds raving! Visit any of our pizza restaurants today to enjoy the unique dining experience that we offer! Why is Pizza and Beer So Delicious? As you can probably tell, we take journalism pretty seriously around here. In order to answer the question of why beer and pizza go so well together, we started asking around. Almost every person we asked had a different answer. Some people thought it might be because pizza and beer are simple and known quantities: you know what you’re getting. Others said that pizza works so well with a beer because they’re fun; both beer and pizza tend to be enjoyed between friends and family during parties and other social gatherings, so it only makes sense for these two amazing flavors to create a perfect combination. While we agree with all of the reasons above, we have another idea to add to the conversation. Pizza and beer are such a great combination because they can enhance or contrast their flavors with each other. 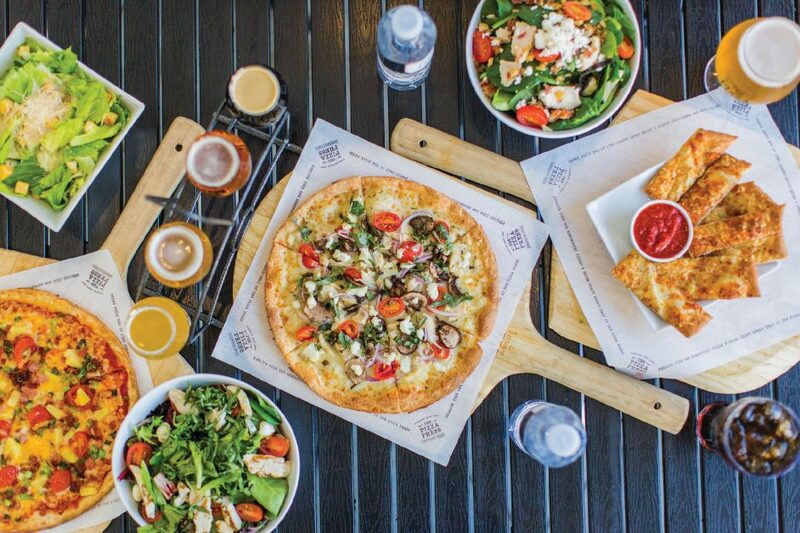 While the idea of pairing other kinds of alcohol with other kinds of food is nothing new (white wines with fish, red wines with steak, and so on) pairing beers and pizza is a relatively new idea. For much of American history, ales and pilsners have reigned supreme. While these beers go great with a lot of different foods (including pizza), they’re not always the best match for some of the more adventurous pizza recipes out there. Luckily, the craft brewing explosion of the last twenty years has coincided with a rise in pizza pairings. While we don’t have any direct evidence, the idea of brewers sitting around a table or a vat with a slice of pizza while they discuss what to brew next doesn’t seem too far fetched. 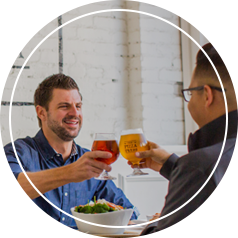 Today, it’s easy to find light, crisp beers to match with lighter, less dense pizzas or dark stouts that match up well with hearty pies. If you’re enjoying one our our light signature recipe pies or you published your own pizza that is topped with crisp, fresh veggies and maybe even some chicken, stick with something light. We think pilsners, and British and American pale ales, or even sour beers are a great place to start. The effervescence and mild flavor of a pilsner is a great all-around beer to match with pizza, while the slight bitterness of a pale is a great contrast, and sours make for an amazing combination of flavors! While a big meaty pizza doesn’t need to be washed down with a stout or a porter, if you love both of those flavors, give it a shot! They’re both big and robust so you won’t have to worry about either flavor pushing the other too hard. If you want great flavor that won’t fill you up the way a dark beer does, pair a meaty pizza with something a little more bitter like an IPA. The savory taste of the meats and cheese works nicely alongside the hoppy goodness of an IPA. Come on by one of our Pizza Press locations today to do your own research on why pizza and beers are such a great pair! Check out list of locations or contact us if you’re interested in learning more about owning one of the best pizza franchises in the USA!